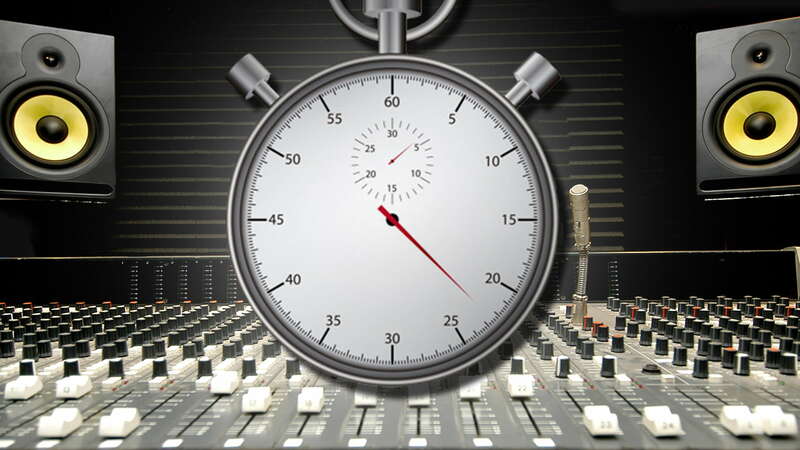 Every mixer’s goal is to get to the final mix with maximum speed, without making too many rounds of revisions. Learn how to minimize the number of times you’ll export your mix: from studio acoustics to your mental game and more. Probably the most common reason that mixes don’t translate is the acoustics in your studio. If you’re working in an untreated space, there are myriad acoustical issues that can distort what you hear and cause you to over- or under-compensate in ways that create problems when your mix is listened to elsewhere. Many studio monitors offer filters that allow you to correct the frequency response to compensate for your studio’s acoustics. Most quality studio monitors have some form of room-compensation features, and once you figure out the impact your studio acoustics are having on the EQ of your mixes (too much bass, not enough bass, too bright, not bright enough, etc.) you can use these settings to compensate to some degree. You can also use a measurement mic and audio analysis software to measure your studio's acoustics. Then, you'd implement an EQ curve to compensate and make the response flat at your mixing position. Depending on your interface, you may be able to apply the curve to your monitoring output. Otherwise, you can apply the curve via a simple EQ plugin, like Q10, on your master buss and use it while you’re monitoring during the mix process. If you have high-quality headphones designed for mixing, they can help you with your decision making because the sound through them is not subject to the acoustics of your room. The problem is that if you mix exclusively through headphones, you’re not hearing how your mix will sound through speakers. With headphones, the left and right are entirely discrete, which makes the stereo field sound quite different than when listening on monitors, where you hear reflections on the left side from the right speaker and vice versa. 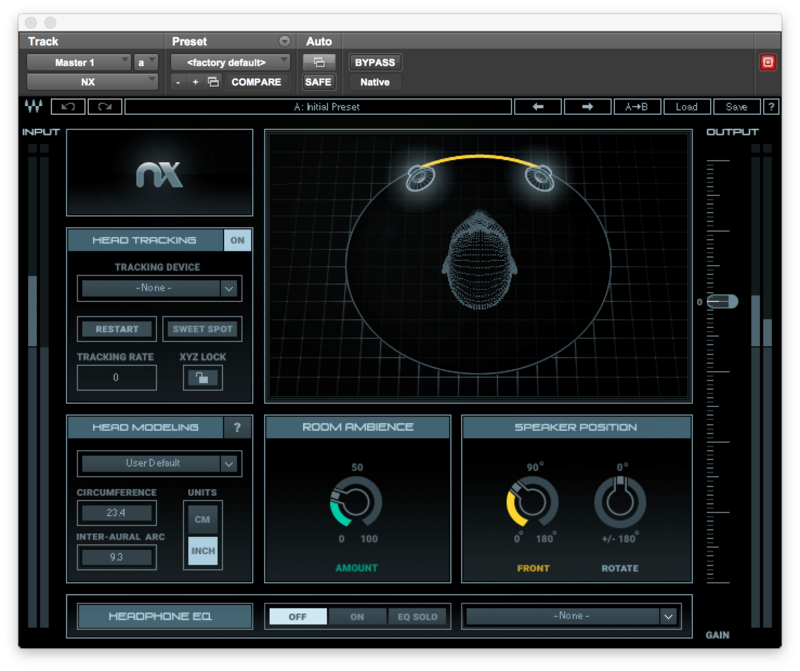 One solution to help you bridge the difference is Waves Nx, which implements a room emulation through your headphones, simulating the reflections you would hear in rooms of various sizes. This is valuable as it adds another discrete listening environment for you to hear your mix before exporting it and taking it away from your studio desk. Either way, checking to see how the mix translates onto headphones is a valuable test, as that's the way many people will later hear your mix. Another method that can help with better mix translation is A/B-ing; that is, comparing your mix to one that you like on an album in a similar genre with roughly equivalent instrumentation. Are the bass levels about the same? How about the EQ in the high end? Are the vocals on your mix at a similar level in relation to the instruments as they are on the reference? 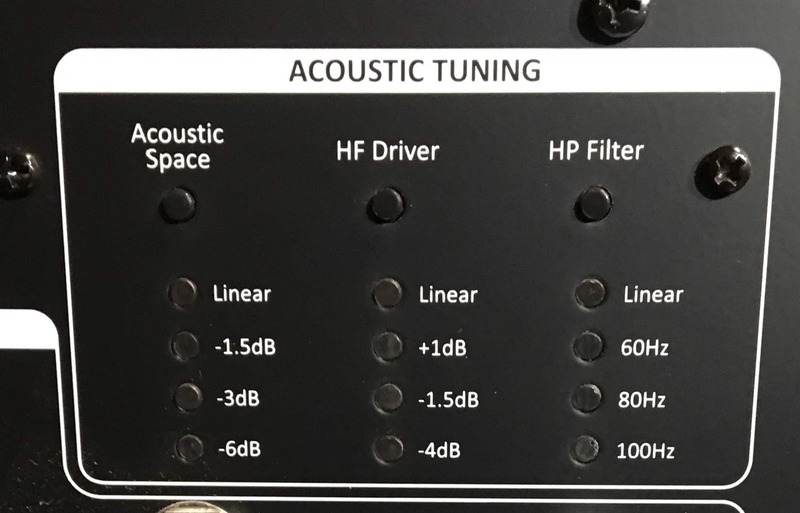 The theory behind A/B-ing is that if the reference mix is well balanced, and you can make yours sound similar, then your mix should also be balanced, no matter the acoustics in your studio. It’s critical that when you’re doing the comparison that both your mix and the reference song play back at the same levels through the same speakers. Otherwise, you’ll be comparing apples to oranges. Not only is it helpful to A/B, but you might also want to do some 'pre-referencing,' by listening to a variety of similar songs before you start your mix. Listen to what the mixers did with the various elements; the panning, the EQ, the ambience effects, the compression or lack thereof, the bass levels and so forth. If you find a mix that you really love, you can use it as a template for your mix—a sort of roadmap. If you’re not going to pattern your mix after a reference mix, you should at least have an idea of where you want to go with it before you start. At minimum, think about the rough contours of your mix and what your goals are for the final sound. Just improvising can often lead to dead ends. Think of it this way: If you don’t know where you’re going, how will you know when you get there? You’re more likely to get your mix right the first time if you go into it with an idea for your workflow and organization. Being organized and prepared will help you avoid mistakes. For instance, color coding and organizing your tracks by type in the mixer will help you better visualize what’s going on at a glance, and make it less likely you’ll forget about a track in all the clutter. (With a large mix, it can happen.) It’s like working at a clean desk compared to one that's strewn with papers, piles of books and empty coffee cups. 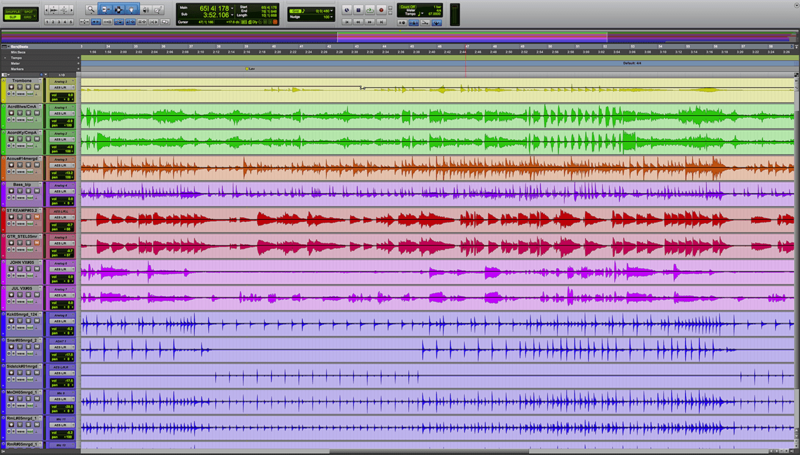 One good way to keep your mix organized and on track is to color-code the various mix elements by type. One task you should make sure to include in your mix workflow, preferably at the beginning of the process, is to listen to each group of tracks soloed to check for clicks and other glitches or anomalies. For example, instances like if you made an edit but didn't crossfade the boundaries, or if you forgot to put a high-pass filter on a vocal or acoustic mic, leaving unnecessary low end mud in the mix. Problems like these are easy to miss when you’re in the middle of your mix, and can slip through uncorrected, only to become apparent after you’ve “finished” your mix and submitted it to your client or bandmates or whoever you’re doing the mix for. Perhaps one of the biggest bugaboos for mixers is knowing when you’ve reached the point of diminishing returns in a mix session. After mixing for several hours straight, most people, save for the most experienced mixers, lose their perspective. The problem is that it’s difficult to know when that point occurs. You could easily come up with what you consider a “finished” mix, only to discover, when you’re asked to revise it, that some elements are under- or over-mixed in a way you didn’t even notice at the end of your mix session. How to avoid this? Make sure you build in a break of at least a couple of hours, and preferably overnight, before you make the final decision that the mix is done. You want to have time to regain your perspective before deciding. After your break, listen to the mix and make notes about any issues you hear and make any corrections you need to make. At that point it’s less likely to have mistakes that will cause it to be kicked back to you for a revision. Sometimes when you come back to listen you’ll realize that you veered off course at some point during the mix session, and you’ll wish that you could get back to where you were at an earlier point in the mix process. If all you have to go back to is your DAW's automatic backups, you’ll have to listen to a bunch of them to try to figure out where things went south, and you can end up totally confused. Saving As, with incremental and descriptive file names will help you back track on your mix, if necessary. To avoid such problems, get into the habit of incrementally saving your mixes as you go along. Probably the easiest way to do that is to save a new version each time you make a significant change. Give each successive version a higher number, and include a short description of what you changed, so that you’ll be able to find the point just before you went wrong more quickly. 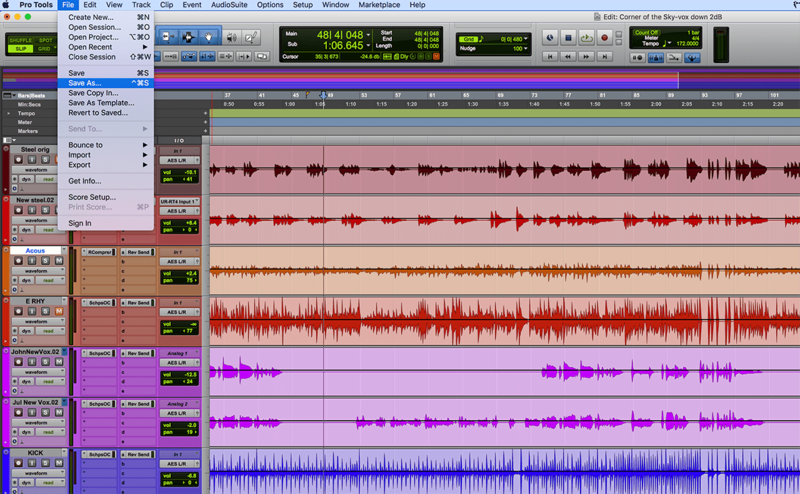 For example, you could save a version as “Mix.4_vocals up 2dB” or Mix.7_hall reverb added,” or something similar. Doing so gives you a virtual “bread-crumb trail” to follow back when you need to revert to a particular point in your mix session. How’s the frequency balance? Is the high end too harsh? Is there too much or too little bass? How’s the balance between kick and bass? Can you hear both clearly, or is one masking the other? How’s the snare drum level? Is it too loud, too quiet, or sitting nicely? Are the lead vocals or lead instruments at a comfortable and consistent level compared to the rest of the band? Are there points where a word or phrase from the vocal track seems to jump out of the mix, or where it’s too quiet? If so, use automation to correct it. Are your clip lights lighting up? If you haven’t gain-staged your mix correctly you may be overloading either individual channels or the master buss. You don’t want any distortion to get into your mix, so go back and fix the volume settings while keeping the relative balance the same. Did you overdo it on the reverb? Are the tails too long, or is the wet/dry mix skewed on certain elements? Is the ending clean? If it’s a ringout, are the instruments stopping together or is one dropping out too soon? Are there any noises getting picked up at the end that you need to edit out? 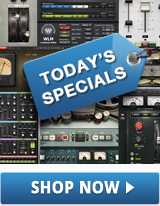 Want to maximize your mix sessions? Learn how to mix without falling victim to ear fatigue. Do you have any mixing workflow tips that we missed? Let us know in the comments below.